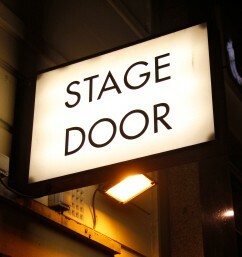 If you live in the Maidenhead area and think you might like to get into showbiz, why not get in touch? Maybe you can't sing, act or dance... Don't worry, you won't be alone! There's plenty to do backstage and front of house. Also, if you have any show suggestions for 2017 please do get in contact. If you think you would like to help us in any way, please contact us using our contact form to the right. Eighty Percent of Success is Showing Up"
"There is nothing better than rehearsing with a group of friends and having such a laugh!"